The development of Wilderness Pointe is one of the newest subdivisions of the incredible master-planned community known as Prince Creek in Murrell’s Inlet. Built around the TPC golf course, there are a number of new neighborhoods being developed by several different builders, each with its own feel and ambiance. Featuring homes for almost every budget, the subdivisions within Prince Creek and Prince Creek West vary in styles with each builder. Some are on the golf course and some are gated, while others have water views. Community amenities include a clubhouse, tennis courts, fitness centers, pools, boating facilities, nature trails for hiking, biking, jogging and walking, a post office, grocery stores, playgrounds, picnic areas with grills and more. The community of Wilderness Pointe in Prince Creek is being offered by Ryland Homes, and consists of 115 two-story homes. Some of the specials of these Ryland homes are optional elevators, irrigation systems for the lawns, and natural gas heat and hot water heaters which are standard. There are lots available as well as ready-built homes. Owners will have access to all of Prince Creek's resort amenities, including multiple pools, clubhouse, and playgrounds. Avenel: 1,955 sq. ft., 3 bed/2.5 bath with a 2 car garage, starts at $282,000. Sawgrass: 2,051 sq. ft., 3 bed/2.5 bath with a 2 car garage, starts at $303,000. 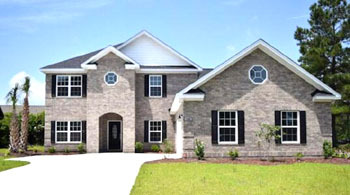 Southwind: 2,246 sq. ft. 3 bed/ 2.5 bath with 2 car garage, starts at $306,000. Summerlin: 2.577 sq. ft., 3 bed/2.5 bath with 2 car garage, starts at $315,000. Whether you are looking for a ready-to-move-into home and want to build you can learn more about these floor plans on our web site and then call us for a tour of Wilderness Point in Prince Creek.